For a certain subset of gamers (which is to say, us old buggers), the name Syndicate evokes a certain, very specific type of mental image. Not of murderous thuggery in the Industrial Revolution, nor of Brian Cox and Skrillex and enough bloom to illuminate a mid-sized city. But rather, of a team of "agents" with blank eyes, heavy weaponry, and no compunctions about mowing down scores of innocent people to get at a single target. The relevance of my reminiscence lies with Satellite Reign, the neon, cyberpunk, and very Syndicate-inspired action-strategy game that rung up more than $700,000 on Kickstarter a couple years ago. Since then, developer 5 Lives Studios has quietly gone about its business, offering just a few glimpses of what it was up to prior to releasing the game on Early Access in December. And now, at long last, there's a release date. "We're pleased to announce that Satellite Reign has now reached its content-complete milestone, meaning the entirety of the game is now available to play, from start to finish. From here, our focus is entirely on fixing bugs and improving performance," 5 Lives wrote on the Satellite Reign site (via Eurogamer). "Entering beta is a huge milestone, but not as big as getting the game ready for the masses, and leaving Early Access. We're announcing today that we will be entering full release on the 28th of August 2015." The launch of the game will not signify a "finish line," it added. 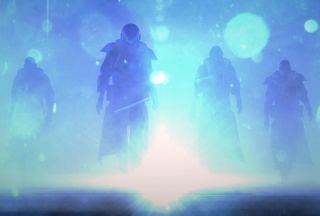 "Satellite Reign is hugely important to our little studio, and we'll be continuing to support the game as long as necessary post-release, while also investigating new content and features we would like to add." The move to "content complete" brings a number of other changes with it: Dracogenics Tower is now unlocked, Tag has a voice, and players will be welcomed by a proper opening sequence rather than just having the game thrown in their faces. There will almost certainly be quite a number of bugs as well, but that's what a beta is for. Satellite Reign is available now, as an Early Access game, on Steam.